It is not easy to accurately spot trends within the cannabis industry, given the varying success of efforts to legalize by each state and general growth in recreational and medical use. Nonetheless, we know that legal cannabis is a promising industry, with at least $57 billion expected to be spent by 2027. With continuous growth on the horizon, the cannabis industry is emerging. In the next few years, there are certain predictions for the cannabis industry. Vape pens and other edible products with CBD is rising on the popularity scale. Terpene extracts are essential for the people who want specific effects from cannabis. CBD needs increased research as it is now more open to different regulatory movements. The 2019 Farm Bill will help CBD market and accelerate research on CBD that will support it. More research will uncover the strength of each cannabinoid component. Therefore, there would be specific cannabinoid combinations for targeted treatment. Illegal cannabis status was a barrier to research leading to some skewed understanding of their effects. While this will probably not change without more comprehensive federal legislation, the general push for legalization in the States will likely mature cannabis education. The legalization of cannabis facilitates cannabis studies by researchers, which provides the average consumer with a much wider range of information on cannabis. Brands have seen cannabis as a new component and a new product to be added to or included in existing products, from breweries to vegetable products. Some experts have already researched and used cannabis to develop new medical marijuana products for their purposes. There is a whole range of possible benefits for general health and wellness, especially CBD oil, in the wellness and beauty sector. CBD infused lotions supporting muscle recovery and reducing joint pain are reported. CBD was integrated into a variety of products without any end in sight, from mascara to lip balm to foodstuffs. The food industry is not far behind. In recent years, the consumption of cannabis has seen an enormous increase. Consumers in the U.S. acquired over 108 million dollars of food and drinks from cannabis and CBD in 2017, representing 10% of total sales of the marijuana sector. Scheduled weed sales are projected to increase more than 27% per year by 2022, generating sales worth more than $22 billion. Compared to sales in 2017, these forecasted sales of medical marijuana were approximately four times higher. In the end, this enormous sales growth also means more work. Estimates show that employment growth will expand by approximately 21% by 2022, an enormous increase in comparison to almost any other industry today. At present, about 125,000 to 160,000 people are employed by the cannabis business. By 2022, the number will be nearer to 340,000. 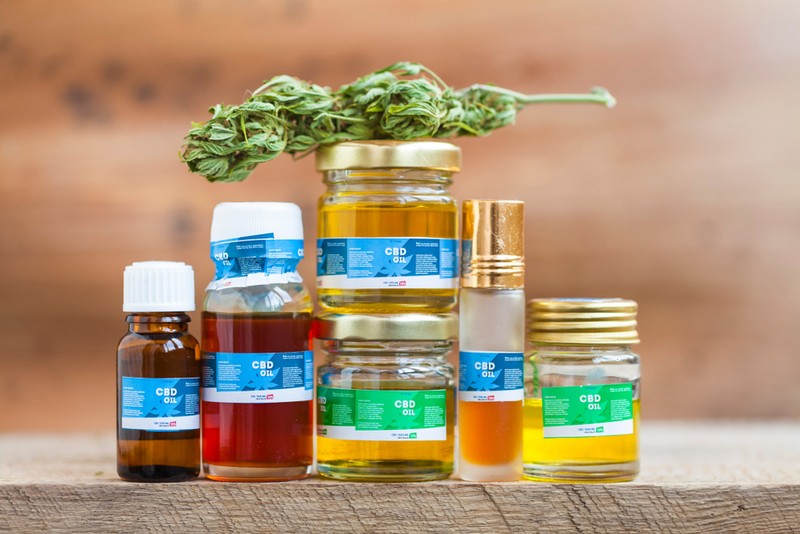 If you are worried about taking safe, legal CBD oil products, consult our experts at any of our CBD stores. Come to our CBD stores in Dallas. Here we will guide you if you do not know how to get CBD for a healthier body and mind.